Here are students from the Winter ADU Design course at PCC, showing off their creations. Will you join us for the next round of ADU Design? Have you been dreaming about an ADU for years now? 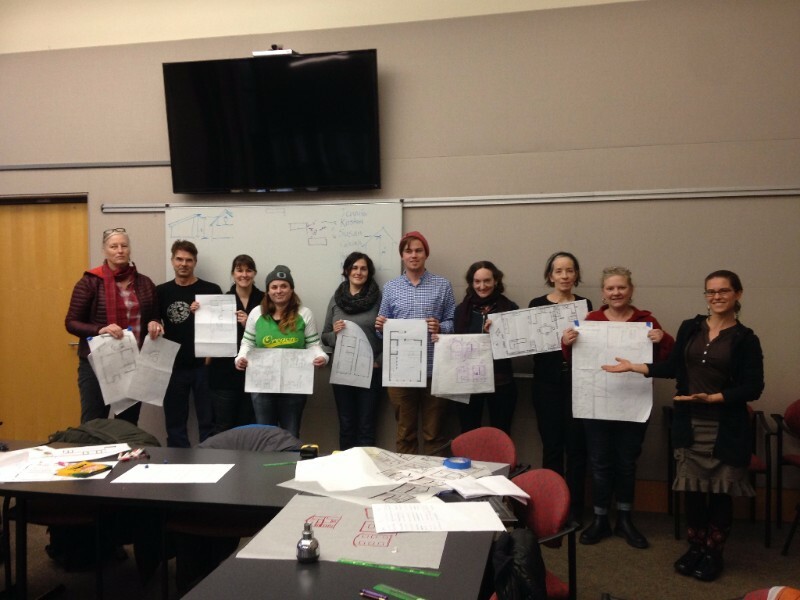 If you’re ready to kick off your ADU design process this spring, join us for an Accessory Dwelling Unit (ADU) Design course through Portland Community College (PCC) the weekend of May 6-7! Here’s a recap of the ADU Design course Lina taught during winter term: PCC ADU Design Wraps Up. Registration is now available on the PCC website, so claim your spot! will another class be offered at PCC? This entry was posted on April 17, 2017 by linamenard in Design & Build, News and tagged ADU Design, ADU design class, ADU Design course, weekend ADU design class, weekend ADU design course.